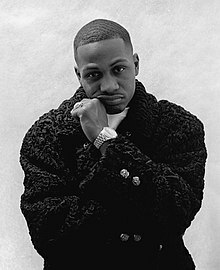 While AZ is regularly cited as the most underrated emcee of all time, I cannot disagree more. That's simply because he is highly regarded by real hip hop heads that know their stuff. He has always been and will always be one of the greatest lyricists to have held a mic. So it is no surprise then that the second release off his upcoming LP Doe or Die 2 is pure fire! This Statik Selektah produced banger has it all - a sick beat, masterful wordplay, flow, and lyrics! 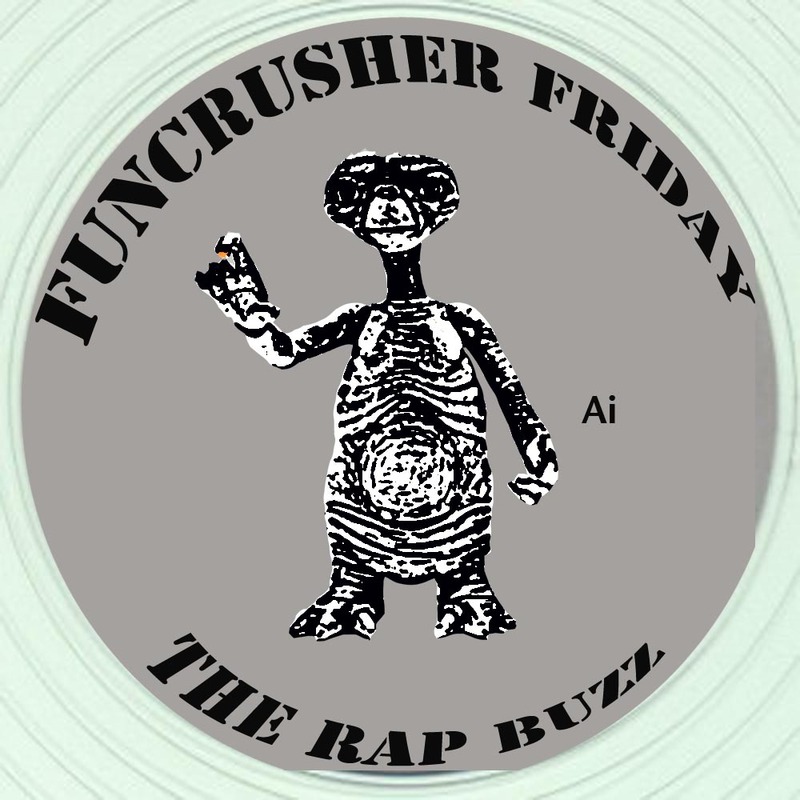 While we featured a new Cannibal Ox release for the first instament of Funcrusher Friday, we couldn't resist taking you back to 2004. Oh yes, the Ox is represented by a fine Vordul Mega on Spitamatic together with another Rap Buzz favourite, C-Rayz Walz. Enjoy! With the Wu's sixth studio album set to drop later this year, 2013 has already witnessed some insane Shaolin mastery. Czarface, the collaboration album between Inspectah Deck and 7L & Esoteric, is already on many people's record of the year lists. It was difficult to choose just the one track off this expansive record, but we've settled for Cement 3s featuring a sick Shaolin'style beat by 7L. Earlier this year Ghostface and Adrian Younge combined to produce one of those concept albums that will stand the test of time. 12 Reasons to Die combines Ghostface's lyricial virtuosity with Adrian Younge's masterful compositions. Set in 1960s Italy, Tony Starks fights against a crime organization in an intrictate plot including a love story with the kingpin's daughter. The album definitely deserves multiple listens! Here we feature The Rise of the Ghostface Killah featuring Masta Killa and Killa Sin. Although not released to much fanfare, Killah Priest's latest full length offering, The Psychic World of Walter Reed, features KP in fine fettle. Cosmic lyrics are accompanied by cosmic beats in this gem of a record. Ps. how sick would a Killah Priest/Jay Electronica collab be?? 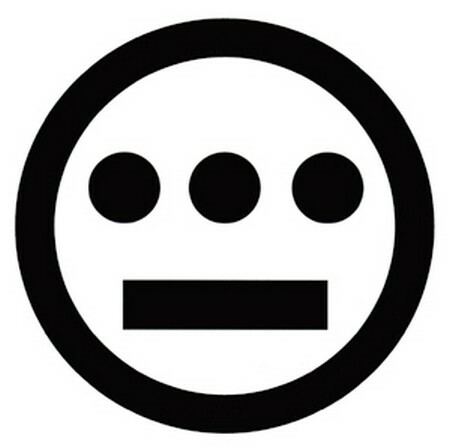 I still remember being mesmerised by the Hieroglyphics Crew's logo the first time I ever saw on it. Since then, I've had nothing but love for Del, Pep Love and the rest of the crew. We've been blessed with a number of tracks by Hiero members of late and this year has been no exception. Gun Fever is the crew's take on the current firearms debate raging in the US - although, to be honest, its hard to decipher their position on the issue. The second track we want to share features the sublime Opio and Pep Love, collaborating here as First Light. For almost a quarter of a century DJ Premier has been at the forefront of the production game and that is no understatement. Despite being widely venerated across the generational divide, we at the Rap Buzz have heard numerous comments from hip hop literati that Preemo’s been resting on his laurels over the last few years. It has even been said that his beats are so formulaic they’ve become predictable. Everyone is entitled to their opinion and in no way are we saying that pioneers should escape criticism, but seriously?! The Rap Buzz has nothing but love for Mean Joe Preem and we couldn’t be happier to post three bangers he’s produced this year. The man is no doubt in a rich vein of form and clearly knows no bounds. 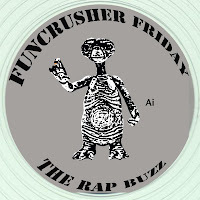 Bring on the collabos with Immortal Technique, Nas, AZ et al – all scheduled for 2013 releases!